Is enriched with extracts of Olive Oil to soothe the skin of the baby. Contains extracts of Rich Starch which refreshes and protects baby's skin, with every sprinkle. Reduces the effects of chapping and rubbing that happens as the baby is constantly on the move. Contains Allantain that reduces irritation, for a soothing feel, throughout the day. Is clinically tested and proved to be ideal for delicate skin of the babies. Additional Information: Give way to your baby's giggles, and watch it grow day by day, as Sebamed helps you in the process of bringing up your baby. Explore the entire range of Bath Time available on Nykaa. 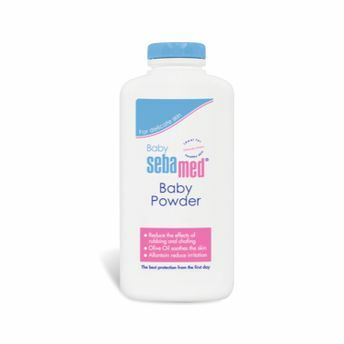 Shop more Sebamed products here.You can browse through the complete world of Sebamed Bath Time .